Dr. Howard is currently a third-year Resident in Diagnostic Radiology at Thomas Jefferson University Hospital, Philadelphia, PA. She received a BA in Biology and Chemistry from Transylvania University, Lexington, KY, in 1993. She received her MD-PhD degree in Molecular Genetics from Thomas Jefferson University, Philadelphia, PA in 2000. She plans to complete a combined MRI Fellowship in Body and Musculoskeletal Imaging at Thomas Jefferson University, Philadelphia, PA and to continue her research projects in cancer molecular imaging and image-guided gene/drug therapy. The strength of magnetic resonance (MR) in imaging the various complex stages of angiogenesis is that it is a noninvasive method that allows repetitive in vivo analyses to measure functional parameters of the vasculature and/or adjacent tissue of interest that may be combined with dynamic molecular information. In addition, MR enables these analyses without the potentially harmful effects of radiation that are unavoidable with CT and nuclear medicine protocols. Unlike optical methods that have been used extensively in the laboratory with genetically altered animal models (such as transgenic and knockout mice) to decipher the phenotypic consequences of various molecular pathways, MR is not hampered by poor tissue penetration. MR also does not suffer from the poor resolving capacity of nuclear medicine schemes and maintains a relatively high spatial resolution for both superficial and deep structures. 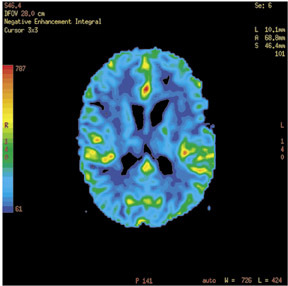 The challenge with MR imaging (MRI) lies within the relatively low sensitivity compared with that of other nuclear imaging modalities, such as positron emission tomography (PET). 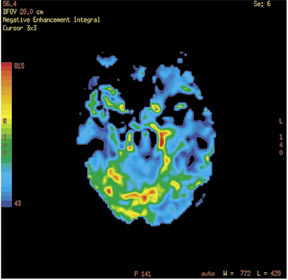 However, this lack of aptitude for pure molecular imaging is offset by the safety as well as the high spatial and temporal resolution of MRI, allowing visualization of fine anatomic detail and quantification of a variety of functional parameters to be repeatedly examined over time. A combination of MRI and other modalities may be the most synergistic way to integrate the strength of each modality. 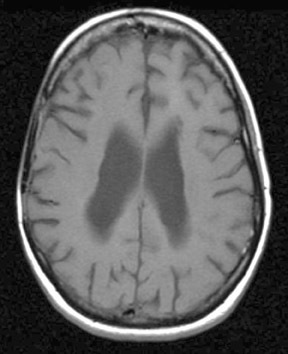 Intriguingly, MR, as a single modality, has the most promise to delivery precise anatomic detail (traditional imaging); to depict specific biological molecules participating directly in the regulation of a physiological process (molecular imaging); and to detect and/or quantify the functional consequences of such physiological process or a defined stimulus (functional imaging). Angiogenesis imaging is just the arena to display the great attributes and potential of MRI in a wide variety of disease states. 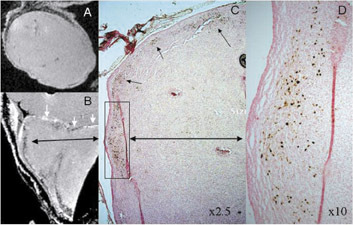 This review will give a brief background on the formation of tumor vascularity and focus on a few of the current MR imaging modalities for the depiction of angiogenesis that were highlighted at the recent Scientific Meeting and Exhibition of the International Society for Magnetic Resonance in Medicine (ISMRM) held in Kyoto, Japan. Deregulated vessel growth and remodeling impacts upon a wide variety of issues in health and disease (Table 1). Excessive angiogenesis not only contributes to psoriasis, rheumatoid arthritis, blindness, and cancer, as historically recognized, but also includes a growing list of common human illnesses such as asthma, obesity, atherosclerosis, and certain infectious diseases. Anomalous vessel regression and inadequate vessel growth is not only related to myocardial ischemia and stroke but can lead to hypertension, pre-eclampsia, neurodegeneration, respiratory distress, osteoporosis, and other debilitating chronic diseases. 2 This ever-growing list of disease processes linked to altered angiogenesis underscores the need to develop safe, noninvasive, dynamic imaging to better understand the regulatory mechanisms involved in this process and how they can be manipulated in certain disease states. Although this review will focus mainly on imaging angiogenesis in tumors, one can easily see the far-reaching potential of imaging angiogenesis and how these same techniques may be applied to other pathologic states. A variety of situations can provoke an unbalanced shift toward proangiogenic factors, such as metabolic and mechanical stresses, hypoxia, and genetic mutations or altered expression of oncogenes or tumor suppressor genes that can stimulate blood vessel growth, and the exact mechanism behind this is still unknown. 16,17 Several sequential steps can be highlighted during tumor angiogenesis. In mature (quiescent) capillaries, the vessel wall is composed of an endothelial cell lining, a basement membrane, and a layer of cells termed pericytes, which are related to vascular smooth muscle and are adjacent to and partially surrounding the endothelium. The pericytes share a common basement membrane with the endothelial cells and occasionally make direct contact with them through gap-junction connections. Initially, the pre-existing capillaries or postcapillary venules undergo vasodilatation and increased vascular permeability in response to elevated levels of VEGF, allowing extra-vasation of plasma proteins. The plasma proteins then lay down a provisional matrix for the activated endothelial cells to migrate. In response to the binding of ANG2 to a tyrosine kinase receptor selectively expressed in endothelial cells (TIE2), the pericyte covering is loosened. 8 The activated endothelial cells secrete proteases, heparinase, and other digestive enzymes that digest the basement membrane surrounding the vessel. Degradation of basement membrane and the local extracellular matrix (ECM) occurs as a mechanism of matrix metalloproteinases (MMPs), a family of metalloendopeptidases secreted by the tumor cells and the supporting cells. The dissolution of extracellular matrix also allows the release of proangiogenic factors from the matrix. 18 Cell projections pass through the space created between altered endothelial cell junctions, and the newly formed sprout grows toward the source of the stimulus. Alternatively, the cells may respond to hypoxemic or nutritive stresses by intussusceptive microvascular growth through the partitioning of the vessel lumen by tissue pillars and interstitial tissue structures. Activated endothelial cells invade the matrix and begin to migrate and proliferate into the tumor mass. In this location, newly formed endothelial cells organize into hollow tubes (canalization) and create a new basement membrane for vascular stability. The newly established fused blood vessels form the blood flow within the tumor. The formation of the lumen during canalization is driven by important interactions between the ECM and cell-associated surface proteins such as hybrid oligosaccharides, platelet endothelial cell adhesion molecules (PECAM-1, also known as CD31), galectin-2, and vascular endothelial cadherin (VE-cadherin). 19-21 Vascular basement membrane components are involved in the regulation of tumor angiogenesis. 22 Vascular maturation occurs with the recruitment of perivascular cells, making the cells more resistant to VEGF withdrawal. 23 Figure 1 is a schematic representation of the classical angiogenic switch involved in solid tumor progression and metastasis. 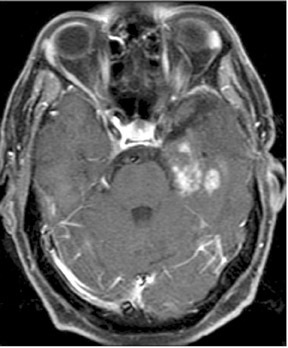 The hallmark of solid tumors is an abnormal vasculature with a disorganized ultrastructure, chaotic blood flow, and leaky vessels. 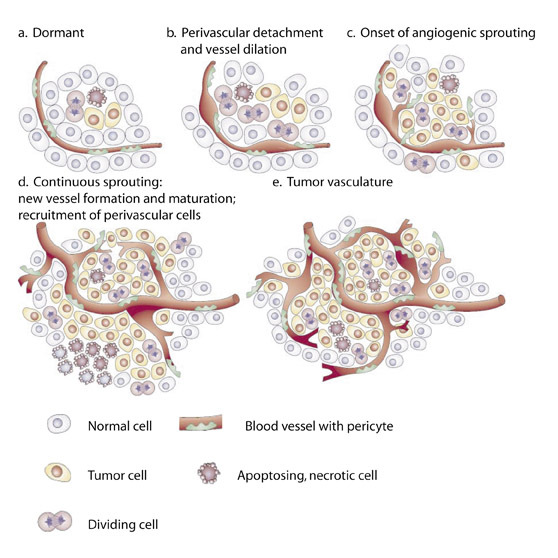 24,25 Imbalances between the levels of pro- and antiangiogenic molecules, which vary throughout the tumor microenvironment, account for the continuous remodeling of the neovasculature and the variations in permeability and blood flow between tumors, the primary tumor and its metastatic deposits and within a given tumor both spatially and temporally. 26,27 Large caliber tumor vessels may have thin walls usually belonging to capillaries or an incomplete basement membrane and an unusual pericyte coat. 25,28,29 The vessels from which new vessels originate are characterized by degradation of the basement membrane and decreased number of pericytes and a thinned endothelial cell lining. The loss of adherence between endothelial junctions as well as a discontinuous basement membrane contribute to tumor vessel hyperpermeability. 25,28,30 The induction of vascular permeability is mediated by vesiculovacuolar organelles, the redistribution of PECAM-1, and VE-cadherin. Vascular permeability allows the extravasation of plasma proteins that constitute a momentary scaffold for migrating endothelial cells, as previously described. Angiography is the most direct method to visualize the vascular system in vivo. This is an excellent technique for depicting larger arteries and veins. To overcome signal-to-noise limitations, macromolecular intravascular contrast agents with a sustained vascular enhancement phase (blood pool contrast agents) are required to acquire the spatial resolution to evaluate the microvasculature by offering a longer acquisition window. 39 This allows optimization of spatial resolution and signal-to-noise ratio (SNR) by decreasing the bandwidth of the pulse sequence, which increases the total scan time. 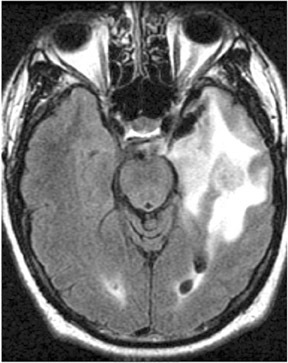 Conventional MR contrast agents would not be amenable to the prolonged scan times due to rapid diffusion into the extravascular compartment, thus severely compromising vessel-to-background contrast. Examples of such blood pool agents that have been used for high-resolution MR angiography (MRA) include high-loaded gadolinium albumin (HAS-[Gd-DTPA] 30 ) with a molecular weight of 92 kDa 40 and polyamidoamine (PAMAM) dendrimer-based gadolinium (Gd) chelates with molecular weights ranging from 58 to 467 kDa. 41,42 This typically allows a spatial resolution approaching 200 µm in animals. 40-44 Spatial resolution can be improved to approximately 10 µm with microMR; however, the temporal resolution is extremely poor. Such impressive high-resolution scanning is obtained by using dedicated high magnetic field animal scanners (>3T), which require specialized pulse sequences to overcome magnetic susceptibility artifacts generated from the increasing field strength. 45-47 Although extremely useful for research purposes, microMR has essentially no clinical applications. Important insights may be gained into tumor angiogenesis with in vivo morphologic characterization of intratumoral blood vessels that may be acquired dynamically and repetitively to access changes with time and/or therapy. Unfortunately, these macromolecular contrast agents are not yet available for clinical use. Although the imaging features are favorable with increasing molecular weight of the blood pool agents due to longer intravascular distribution, eventual clearance may become a problem. Only drugs <70 kDa or <7 nm in molecular size may be cleared by glomerular filtration, depending on charge. 39,43 The long echo times needed to improve SNR and spatial resolution come with a cost of increased pulsation and respiration artifacts. This may prove particularly problematic when imaging certain thoracic and intra-abdominal tumors. Even with the current advances, not all angiogenic blood vessels are resolved. This limitation is likely to improve as high magnetic field scanners become more commonplace in academic and clinical practice. A variety of functional parameters may be evaluated by MRI as methods for imaging angiogenesis, including measurements of permeability, blood volume, perfusion, and vasoreactivity. 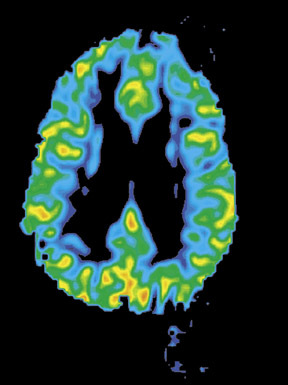 Perfusion may also be evaluated by arterial spin labeling saturation transfer. Vascular function is mapped by following water as a tracer for per-fusion. 80 This has shown utility not only in physiologic models of angiogenesis 81-83 but also in the clinical realm as an indicator for tumor angiogenesis in cervical carcinoma. 84 This has the advantage of not requiring the administration of an extrinsic tracer; therefore, no contrast medium affects the physical, physiologic, or chemical properties of the blood. A few studies, however, have reported a weak correlation between contrast-enhanced MRI and histologic microvessel density. 85 This may be explained in part by the larger diameter of the tumor vessels resulting in an increased blood volume fraction without an increased number of vessels as determined by microvessel density. Furthermore, steady-state (R1)-based MRI measurements using blood pool agents tend to overestimate blood volume in regions of angiogenesis because of the extravasation of even the high molecular weight contrast agents in these hyperpermeable vessels. 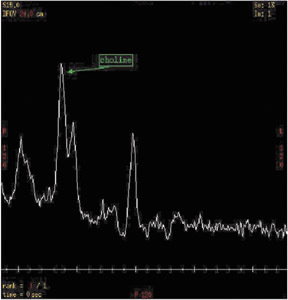 This limitation may be overcome by taking advantage of the signal loss in susceptibility-weighted images due to the paramagnetic property of deoxyhemoglobin in blood, thus serving as an intrinsic MR contrast. This may be used to establish the apparent vessel density, allowing a qualitative determination of vessel density. 86,87 Because no contrast material is administered, repetitive measurements and detailed kinetic analysis may be made. The effectiveness of angiogenesis may be determined by showing the ability of the vessel to transfer oxygen. This may be imaged by intrinsic contrast MRI sensitized to blood oxygenation and deoxy-hemoglobin content by monitoring R2* relaxation (blood-oxygenation-level- dependent contrast). The paramagnetic effect of deoxyhemoglobin within red blood cells allows the measurement of changes in MRI signal intensity in functional vessels in response to changes in blood oxygenation by inhalation of 95% oxygen (hyperoxia). 86,90,91 Conversely, signal changes in response to hypercapnia (5% carbon dioxide [CO 2 ]) can be used to map vascular maturation. Vasoreactivity induced by CO 2 (by the transition from air to 95% O 2 to air with 5% CO 2 ) is conferred to new blood vessels by recruitment of pericytes and smooth muscle cells. 92 MRI of vasoreactivity maps to vessels that are positive for histologic staining with endothelial markers and with alpha-smooth muscle actin for staining the contractile perivascular cells. 92 This phenomenon comes about by perivascular cells controlling hematocrit and capillary blood flow, as confirmed by intravital microscopy. 93 This allows MRI to reproduce the protective role of maturation in maintaining vascular survival upon VEGF withdrawal 92 ; such information is crucial in rational treatment strategies using antiangiogenic agents. As detailed earlier, MR offers a wide variety of methods to not only study the preclinical mechanisms of angiogenesis but also to noninvasively evaluate the efficacy of potential therapies. Of course, no single technique should be used in a vacuum. In the heterogeneous environment of tumors there are often mismatches between spatial patterns of vascular permeability and blood volume that complicate using a single parameter as a surrogate measure of angiogenesis. 56,106 Coupling nuclear magnetic resonance spectroscopic data, dynamic contrast-enhanced mapping of blood volume and permeability as well as MRI mapping of pH provides insight into the relationship between metabolic heterogeneity and tumor vascularity. 106,107 This may be used to define common regulatory pathways that determine the final tumor microenvironment by linking specific patterns to various parameters. 108 This can be taken a step further by imaging tumors and then excising the tumors with concordant orientation, sectioning, and coregistration. The tumors can then be examined histologically, or RNA can be extracted for microarray analysis from specific tumor regions by using laser capture microdissection to query for molecular differences within imaged tumors to help explain the heterogeneous microenvironment. This allows correlation at the functional, metabolic, and molecular levels. 109 Such techniques can be used not only to discover future molecular targets but also to understand mechanisms of resistance to therapy. 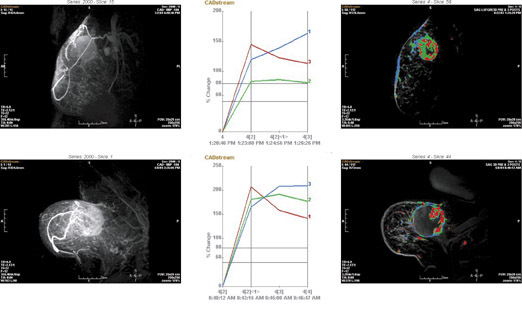 Dynamic contrast-enhanced MRI with the intravascular contrast agent albumin-Gd-DTPA has recently been used to detect the effects of the antiangiogenic agent TNP-470 on vascular volume and permeability by using a rodent prostate carcinoma model. 110 TNP-470 is a fumagillin derivative that inhibits endothelial cell proliferation, 111 which targets methionine aminopeptidase-2 (MetAP2) 112 and has been shown to inhibit tumor growth in preclinical models 113 and clinical studies. 114,115 Figure 6 depicts the multislice maps of vascular volume, permeability surface area product and hematoxylin- and eosin-stained histological sections, as well as the triplanar views from 3D reconstructed maps of the tumors pre- and posttreatment with TNP-470. 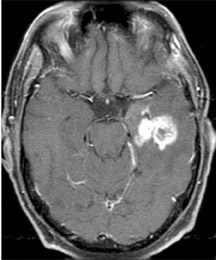 The treated tumors show marked reduction of detectable vascular volume and PSP as well as extensive necrosis by histologic analysis. In the treated tumors, the vascular volume and PSP were mainly detected around the periphery of the tumor. As seen in prior studies, 106,107 a spatial discordance was detected between regions of high vascular volume and high permeability, especially along the peripheral region of the treated tumors with distinct regions showing a pattern of reduced vascular volume but increased permeability compared to control (nontreated) tumors. Interestingly, the VEGF levels in TNP-470-treated tumors were higher than those in the nontreated tumors. This suggests that the hypoxia induced by the decreased vascular volume resulted in a compensatory increase of VEGF and permeability after treatment with TNP-470. 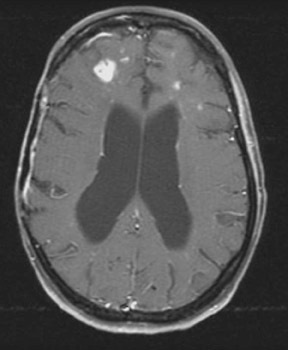 110 This serves as a powerful example of the ability of MRI to detect changes in tumor vascular characteristics. Serial MR scans over a time course of treatment are likely to provide further insight into the changes in tumor vasculature induced by various forms of treatment. Several molecular targets have been identified that are involved in the regulation of angiogenesis (Tables 2 and 3). 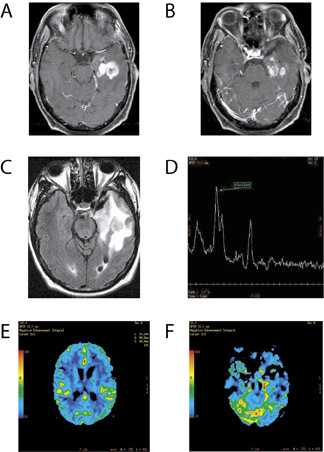 Promising work has been shown with animal models in which MR contrast agents have been specifically delivered to pathologic lesions with increased angiogenesis. This has been accomplished by targeting structural proteins such as matrix fibrin and extradomain β-fibronectin, as well as endothelial receptors such as ICAM-1 and integrin α v β 3 , which are overexpressed at an early stage of angiogenesis. 117,118 The inherent problem with MRI and molecular targeting in angiogenesis is that the targets are usually present in the picomolar to low micromolar range. 119 In addition, the tissue concentration of the target agent is in equilibrium with the blood, resulting in continuous redistribution into the blood from the target. For one to visualize specific binding to the target, the blood concentration must be low. This is further compounded in humans by a high dilution of the percentage of dose/gram tissue bound to the target, which is <30% in small animals but <1% in humans, based on data from radiolabeled antibody studies. 120-123 High doses are therefore necessary for current Gd-based contrast agents with relaxivities below 30 L/mmol*s even with high affinity compounds to overcome the high dilution and reach target tissue concentrations at or above the detection limit of MR (0.5 mmol/kg). 119 Often bulky contrast material is used to provide sufficient sensitivity. Unfortunately, the biological effects of these macromolecular imaging contrast agents upon signal transduction pathways through the imaged receptor-ligand system have not been studied in detail. Competition assays between the native ligand and molecular contrast material are crucial to determine if the detected signal represents an over- or underestimation of receptor levels if such a strategy were to be used for mapping receptor density for available target for therapy and/or tracking changes in quantity for response to various forms of antiangiogenic therapy. The potential clinical implications of this work are astounding. This may improve detection and quantification of occult tumors and metastases. Using this as a model system, researchers may construct several different ligand-directed paramagnetic nanoparticles to detect, quantify, and biochemically and morphologically characterize various biomarkers of tumor or other pathologic states of neovasculature. Patients may be segmented a priori into appropriate antiangiogenic therapy protocols and a noninvasive means provided to monitor the effectiveness of antiangiogenic therapeutic regimens that may be tailored to the individual patient's needs as they change over the course of therapy. In addition, what can be specifically targeted for diagnosis can also be targeted for therapy. The ligand-directed paramagnetic nanoparticles can be designed to entrap various drugs or genetic material for site-specific drug/gene therapy to targeted cells 129 with simultaneous confirmation by 1 H MRI. 126,130 Gene-based drugs are highly active and most applicable to nanoparticle vectors where the amount of gene injected is on the order of micrograms and milligrams; therefore, a large volume of nanoparticles is not required for delivery. Furthermore, noninvasive MR 19 fluorine spectroscopy of the perfluorocarbon core may be used to quantify the delivered therapeutic dose. Certain tumors require the recruitment of bone-marrow-derived endothelial and hematopoietic precursor cells for tumor angiogenesis. 131 This spurs an already avid interest in using MRI to monitor the in vivo behavior of stem cells and cell tracking. During the ISMRM meeting, Dr. Frank detailed a new and exciting research model recently developed to label endothelial precursor cells with superparamagnetic iron oxide nanoparticles (SPIO). 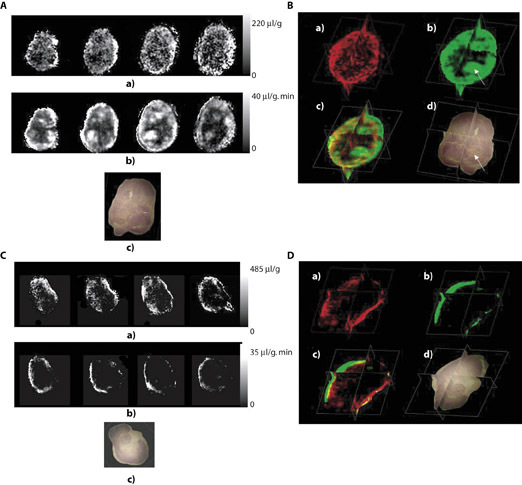 132 He and his colleagues have developed an efficient labeling system using protamine sulfate complexed to ferumoxides for cellular imaging with MRI. 132 The SPIO nanoparticles are incorporated with endosomes. 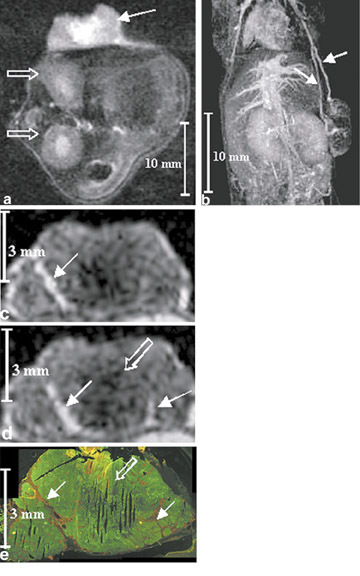 The iron-oxide-labeled cells appear as hypointense areas in tissues with an associated susceptibility artifact or an amplification of the decreased signal intensity on iron-sensitive T2-weighted and T2*-weight-ed gradient echo images. 133,134 This process allows for the direct imaging of neovascularization of the tumors at the cellular level, as depicted in Figure 7. The high-resolution 3D image protocol used in Figure 7, using a field-of-view of 3.2 Z 2.1 Z 2.1 cm, requires 20 hours for image acquisition. However, 2-dimensional images may be obtained in 20 minutes with satisfactory resolution. 132 This particular combination for magnetic cellular imaging should facilitate translation of the approach to clinical trials, because protamine sulfate is FDA-approved for reversal of heparin anticoag- 135,136 and SPIO is FDA-approved for in vivo human use as an MRI contrast agent. 137 Insight may be further gained into the pathogenesis of tumor angiogenesis with such a strategy combined with directed mutational analysis. The future applications include not only imaging of cell trafficking of various stem cells (not only endothelial precursor cells) into tissues, but may also aid in the development of novel cell-based strategies for tissue repair and/or replacement of tissues. 132 This is a particularly promising therapeutic approach for other disease processes characterized by insufficient angiogenesis (Table 1). Diagnostic imaging is evolving to take advantage of the insights provided by molecular biology that has continued to grow at an exponential rate since the completion of the human genome project. 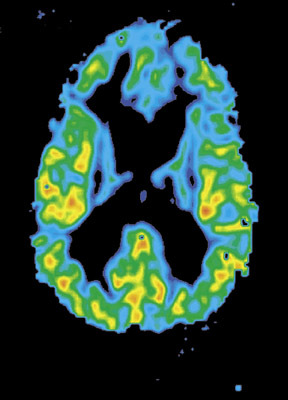 Molecular and functional imaging not only serves as a powerful research tool to study disease pathways under controlled genetic or environmental perturbations, but also promises to be an invaluable vehicle for the translation of bench top research to the bedside, directly affecting patient care and outcome. The potential is vast, considering that with the exception of trauma, all human disease has a fundamental molecular pathophysiologic basis. Even with trauma, however, the body's healing response occurs via a tightly regulated pathway controlled at the molecular level. 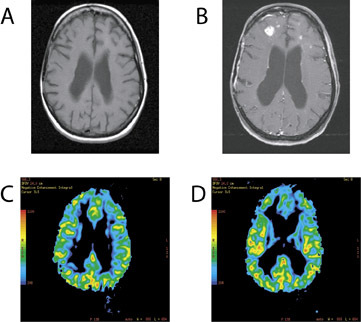 Adjunctive molecular and functional imaging may improve the sensitivity of diagnostic imaging in early disease states, allowing more prompt intervention and providing additional information with respect to drug, genetic, or stem cell treatment, development, and monitoring as well as image-guided, site-specific, targeted delivery. Angiogenesis is the perfect venue to display the vast talents of MR in this brave new world of imaging and molecular medicine while impacting on a large variety of issues in health and disease. The author thanks Don Mitchell, MD and Lisa Tartaglino, MD for guidance throughout residency and this project, in particular. A special gratitude goes to Adam Flanders, MD; Scott Enochs, MD, PhD; and Cathy Piccoli, MD for providing many of the images used in this paper as well as to the authors who agreed to reprint their published works. Appreciation is also extended to Pier Paolo Claudio, MD, PhD, for critical review of the manuscript. MRI methods for the detection of angiogenesis. Appl Radiol.